With his tribute to James Brown also available this multi-talented performer fills two big pairs of shoes and pulls it off flawlessly with style and charisma. Mike’s attention to character detail and amazing vocal melodies bring audiences to the feet at every performance. This is one amazing tribute performances not to be missed. Mike was born in Shreveport, Louisiana. He developed his strong soulful voice performing with the vocal group, the Gospel Ambassadors. He moved to Las Vegas in the 80’s and performed in hotel clubs and toured to Atlantic City, Reno and Lake Tahoe. Then he moved to the San Francisco’s Bay area and worked in R&B and Funk clubs. In 1989, Mike moved to Vancouver to join the band Stripes and toured Western Canada and the Pacific Northwest. He then toured as a solo singer to Asia, Europe and the Middle East. He met Dan Casavant in Vancouver and formed the Big Dawg Band in 1997. Mike has made a name for himself in Vancouver as a dynamic and soulful singer. The influences of Sam Cook, Marvin Gaye, Ray Charles, and many others live in his heart and voice. 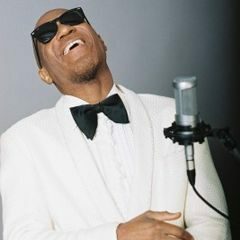 Mike recently formed a solo tribute to Ray Charles and James Brown to honor two of the most influential musicians for him throughout his musical career.